March is here! 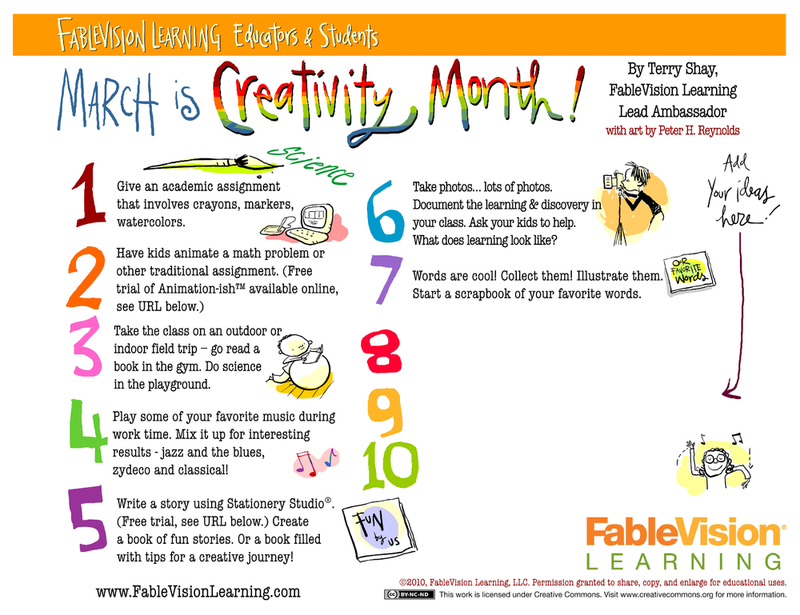 We are happy to re-release one of our popular classroom posters: March is Creativity Month. You'll find great tips for celebrating creativity month. Our lead ambassador (and dear educator friend) Terry Shay wrote the tips, while Peter H. Reynolds provided the illustrations. Keep in mind — you can take these tips and apply them to celebrate creativity in ANY month! March (2014) is creativity month! If you like this poster, be sure to check out FableVision Learning’s members page. We have a whole gallery of posters by Peter available for download!